A couple weeks ago Mikaela Shiffrin broke the record for most FIS World Cup wins before the age of 23. A couple of years ago Lindsey Vonn broke the women’s record for most total FIS World Cup victories. In both cases the woman who held the previous record was Annemarie Moser-Proell. I received no answers to last week’s trivia question. I’m assuming everyone was too busy skiing the amazing conditions to bother with such matters. Annemarie Proell was born in Kleinarl, Austria, the sixth of eight children. She began skiing at age four on homemade equipment. The local priest recognized potential talent and recommended her to the Austrian ski association. She won her first regional championship at age 13. Proell joined the Austrian National Team for the 1969 World Cup season at age 15. Her first victory came the following season at age 16, winning a Giant Slalom. She actually finished 6th for the overall 1970 World Cup. In 1971 Proell’s racing career took off. She won seven races – two slaloms, two downhills, and three giant slaloms. 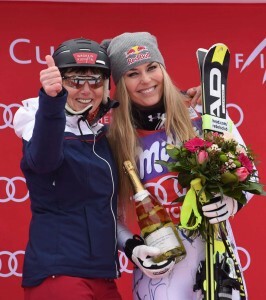 She won what would be the first of her five consecutive overall World Cups. 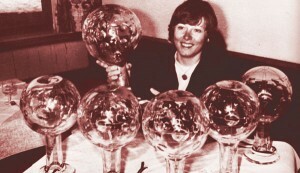 Between 1972 and 1974 she won 11 consecutive downhills. Speaking of 1974, Annemarie married her ski technician, Herbert Moser, to become Annemarie Moser-Proell. Proell did not fare as well in the Olympics. In her first Olympics in 1972, she took two silvers being edged out by the Swiss skier Marie-Theres Nadig who won two golds. Proell took the 1976 season off to tend to her terminally ill father, so she missed the 1976 Olympics in her home country. 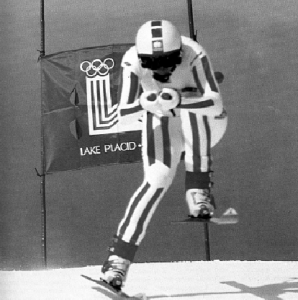 She would finally get her Olympic gold at the 1980 Lake Placid Olympics winning the downhill. 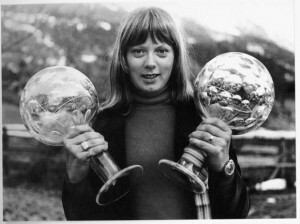 After her father died, Proell returned to the World Cup circuit for the 1977 season finishing second in the overall standings. She would win one more overall World Cup in 1979. She retired after the 1980 season at the age of 26. She had raced for a total of 11 World Cup seasons and accumulated 62 wins and 113 podium finishes. She won 35% of the races she entered. The 62 wins set the standard for women until Lindsey Vonn exceeded it in 2015. Comparing athletes across generations in any sport is difficult. For example, there are more events today with the addition of Super G than there were when Proell raced. And there are more stops on the World Cup circuit which means more races. So in some respects it’s amazing her records lasted as long as they did. One aspect of Annemarie Moser-Proell’s success was that she was the first woman to gain a superstar status in the FIS World Cup. 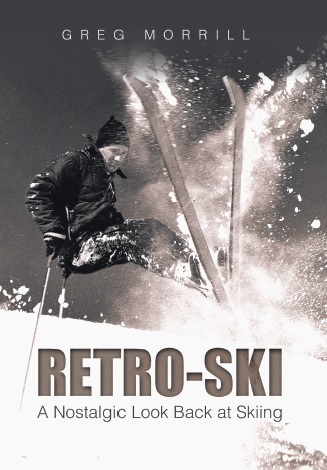 Austrians love their ski racers and they loved Moser-Proell. After winning her first overall World Cup, 10,000 fans greeted her return to her hometown of Kleinarl. She was highly competitive, but still respected by her fellow competitors. Former U.S. ski racer Christin Cooper says of Moser-Proell, “She modeled gnarly, unrepentant competitiveness before women athletes had come to own that space with pride and confidence.” Annemarie Moser-Proell was voted the Austrian Sportswoman of the Century! Annemarie Moser-Proell still lives in Kleinarl. You can view many of her trophies at the Café-Restaurant Olympia. Moser-Proell started the business, but sold it after her husband passed away in 2008.